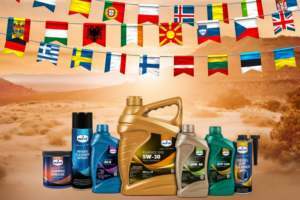 Eurol Antifreeze BS 6580 | Eurol B.V.
Eurol Antifreeze is recommended for all cooling systems of combustion engines and other heat transfer systems. Based on ethylene glycol and formulated according to European car manufacturers instructions, the concentrate contains additives, protecting against corrosion and foam-building. Offers the best protection when applied in a concentration of 25 up to 50 vol.% and is completely safe for rubbers, plastics, metals, aluminum and alloys. The product is free of nitrites, amines and phosphates.